A Very Odd Letter From One of the Country’s Leading Newsletter Publishersâ€¦ About a Very Good Chance to Make a Lot of Money. Can You Write A Letter Like This One? This is an odd letter for me to send you. Ordinarily when I write to people, it’s regarding the financial, health, or travel information I publish. But today I’m writing to invite you to consider “coming to work” for me. Not as an employee. And probably not in any way you can imagine right now. But if what I’m about to reveal interests you, there may be a way for you to help me make money – and vice versa. How much money? Does $50,000 to $250,000 per year tempt you? That’s typically how much I pay people to do what you could be doing. And how about a lifestyle that allows you to pick your own hours, live anywhere in the world, take as many vacations as you care to. Work from your home – from anywhere in the world for that matter. Even outdoors if you likeâ€¦in your bathrobe! I don’t mean to tease you so crudely. It’s just that I’m excited by the prospect of what I’m about to reveal. In several ways, it’s the best financial opportunity I’ve ever offered. And in the course of the next few pages I intend to prove that to you. I will also show you how you can take advantage of this opportunity quickly, easily, and without any risk. I’ll demonstrate how you can be on your way, making a doctor’s or lawyer’s income, in less time than you ever thought possible. Agora Publishing ranks as one of the largest newsletter publishers in the country. In fact, in the world. We publish books, newsletters and reports. We even publish in foreign languages and over the Internet. But despite my good fortune as a publisher, my true vocation (and the thing I do best, quite frankly) is writing. I’ve been writing for well over 25 years now. In fact, I built most of my business on the strength of my writing. But here’s the part about me that will most interest you. Every year I set aside more than a million dollars to spend on people who can write mostly simple lettersâ€¦like the ones I’ve been writing for years. Letters much like this one. And that’s just the tip of the iceberg. There are hundreds of direct marketing companies with budgets much bigger than mine and thousands my size and smaller. All this adds up to a very big and always growing need for new copywriters. As I told you before, most of the writers I work with make anywhere from $50,000 to $250,000 per year. (I should know. I see their checks go out every day!) The top stars of our business earn $500,000. Yep, up to a half a million dollars per yearâ€¦some just for writing a single sales letter each month. That’s more than most lawyers make. More than most doctorsâ€¦CEOsâ€¦dentistsâ€¦ Plus, the work is infinitely easier! A computer or a typewriter is all you really need. And maybe a desk and a comfortable chair. A couple writers I know have bought homes in the mountains and write from open-air decks, surrounded by beautiful redwoods and snowcapped vistas. Others have penthouse condominiums and homes overlooking the ocean – and get their inspiration from the sun, sand and surf. Several more writers I work with have moved overseasâ€¦to London, Paris, Berlin. One of my writers moved from Vermont to Chile, but that was too remote for him, and he moved back. Another woman moved to San Francisco for a couple of years, then to New York. And you know what? All of these people had their incomes follow them! Now that’s freedom. “transubstantiation”â€¦the “categorical imperative”â€¦and a few others. communications with our customers that convey ideas and information. this kind of writing that most people have never heard of. If you ask me, this demand for copywriters will never go away. And the demand for good copywriters is enormous. Which brings me to why I’m writing you today. If you can write a letter like this one then you have what it takes to join this very exciting, very high-paying copywriting fraternity. Now, I wouldn’t have been so confident saying that a while ago. Nothing against you. But just recently, I came across something that changed my mindâ€¦something that convinced me that anyone with basic writing skills could write letters for me. A while ago, I got an e-mail from a good friend and business associate named Michael Masterson. best copywriters ever! He’s a millionaire many times over because of the letters he’s written. He’s sold over a billion dollars through the mail (including many, many millions for my company alone). What’s more, his teaching skills are legendary. He has a knack for taking people with raw talent and turning them into superstars. and join in on the profits to be made in this very lucrative profession. I’ve seen a lot in 25 years in this business). trying to pass down to apprentice copywriters for years. All the secrets for writing successful “million dollar” sales letters. “Home runs” we like to call them. “Breakthroughs.” There were samples of the most successful sales letters ever written. Sections covering how to think and act like a professional copywriterâ€¦how much to charge for your work – even how to begin your own lucrative freelance career. This is something I’ve wanted to write for years but haven’t had the time. In fact, many of us in the industry have long talked about putting together a copywriting program, since the lack of good copywriters has always been a major complaint in our business. But this program exceeded anything we’ve ever discussed. It’s more thorough than we ever thought a work-at-home program could be. It takes you through every aspect of writing a successful direct mail letter – from the headline to postscript and everything in between. It shows you how to use a secret structure to lead the reader exactly where you want him to go. And when you finish the program, you’ve actually “built” your very first direct mail letter, step-by-step. You then send your work in where it’s evaluated, assessed and critiqued by a team of professional copywriters – including Michael Masterson himself! I’ve seen is how simply some of the more complex ideas are explained. as easy as falling off a slippery log. Michael has developed a teaching program that can take you from where you are now to knowing exactly how to write powerful professional sales letters in the fastest and easiest way possible. powerful secret there is and you’ll learn it well. Before enrolling in our program, Karen Douglas was struggling earning $18,000 a year as a writer. Now, just a little less than 2 years since completing the course, she’s making $50,000 a year as a copywriter – and can dedicate the majority of her time to her first love – writing fiction. opportunity promotion for my company – and getting paid in US dollars! me – and be well paid for it!). Several more Michael Masterson’s Accelerated Program for Six-Figure Copywriting students are participating in a special program called “The $50,000 Challenge” – where each writer is learning advanced secrets and will ultimately have an opportunity to mail several “live” sales letters for products that could earn the writer over $50,000 in royalties. thousands more writers as well. People like you! But you need to know the secrets to our business – and there’s no better place anywhere to learn them than through Michael Masterson’s Accelerated Program for Six-Figure Copywriting. Many of the powerful secrets you learn in this program come from Michael Masterson himself. Who is Michael Masterson? Well, I’ve already told you he’s one of the top copywriters in the country – perhaps the world. He’s personally written some of the most successful direct mail pieces ever written. And that has made him a millionaire. Michael knows more about how to write a successful direct mail letter than anyone in the business – hands down. His writing techniques have sold over $1 billion worth of products and services over the last 20 years. And his knowledge of the business has helped build six of the largest direct mail companies in the world – across the U.S., Canada, the United Kingdom and Europe. What has he gotten from all of this? Simply a lifestyle most people only dream about. He’s a financially secure jet-setting millionaire – with an oceanfront mansion and properties around the world, including Washington DC, Russia, South America, Florida and the Caribbean. His antique car and art collection alone is estimated to be worth several million dollars. I’ve worked with Michael for the better of eight years now. And the most remarkable thing about him is not necessarily his writing talent (as remarkable as that is!). No, it’s that he’s figured out just what it is that makes winning letters work – and he’s boiled it down to some very profound secrets – secrets that virtually assure tremendous success whenit comes to selling by mail. Better yet, he’s developed a simple method of passing those secrets on, so that anyone with ordinary writing skills can become a very talented and successful copywriter. In fact, some of the most successful writers I hire have been taught exclusively by Michael Masterson. From $12,000 a Year to $20,000 – a Month! successful. He used to be a woodworker building and restoring custom furniture. He loved his craftâ€¦and he was good at it. But the dust and chemicals were killing him. He’d go home at night wheezing, unable to draw a full breath. And his last year in his woodshop he only earned about $12,000! Now, Don never thought himself much of a writer. And he certainly never thought he’d be rich. But that all changed when, by chance, he was reunited with Michael – his childhood friend – after 20 years. Now Don is one of the top copywriters in the country. In his first freelance year, Don made $80,000. His income jumped to over $140,000 in his second year – and last year he made somewhere between $200,000 and $300,000 writing letters. Today, when he’s not traveling the world (in the last four months he’s been to my chateau in France, California, New York, Maryland and Virginia), he lives in a million dollar home in one of Miami Beach’s most exclusive neighborhoods. well-paid for his efforts, think again. In just five years, Paul’s made nearly double the money he made his entire working career – over $750,000! In fact, he’s made enough money to pay off all his debts and move his new family to a beautiful mountain-view home in Vermont – something he’s always dreamed of doing. These two gentlemen prove that anyone can have this kind of success. All you need are very basic writing and communication skills, Michael’s secrets, and a willingness to learn. But they are not the only ones to benefit from Michael’s knowledge. dollars in revenue per year. One of our now-very-good-business associates was holding a “stop and go” sign at roadside construction site when Michael taught him his direct mail secrets. Now he has a multimillion-dollar business of his own – built mostly on the strength of the copywriting skills he learned from Michael. Of course, you can’t be illiterate and be a successful writer. You do need to have a basic understanding of the English language. And a willingness to learn. togetherâ€¦trade secrets you’ll find in Michael Masterson’s Accelerated Program for Six-Figure Copywriting. Just the secrets you’ll learn from Michael, Don and Paul are enough to put you heads above most copywriters. But this program goes several extra miles. Because these gentlemen have convinced some of the best minds in the industry to add their most private secrets for success to the mix – secrets and techniques that will have a profound and immediate impact on your life. launched fifty newsletters and hundreds of book titles. the letter pulled in another million (pure profit). Fluid Technology, just to name a few, and has published over 30 books on writing. taking the circulation from 40,000 to over 100,000 in a few months. year, totaling millions of pieces. – And one man sold $500 million worth of products and services worldwide through direct marketing. He’s written 14 best-selling books, founded 23 successful businesses, and appeared on 17 television shows. His marketing savvy has made him a multi-millionaire, and he commands a hefty $7,500 for a 2-day seminar. companies themselves. And like me, they need writers! “Michael Masterson’s Accelerated Program for Six-Figure Copywriting was everything I hoped it would be! This is truly your once-in-a-lifetime opportunityâ€¦a chance to take home your share of the millions of dollars up for grabs in the lucrative world of copywriting. Graduates have proven that you could be writing professionally – getting checks in your mailbox – before you even finish the course. No question, Michael Masterson’s Accelerated Program for Six-Figure Copywriting is a fast track to pure, specific knowledgeâ€¦and a very exciting, lucrative career. This is a very serious education. Not some general scattering of knowledge you’d glean from a book. It’s a very real opportunity to gain powerful, life-transforming knowledge – by learning directly from those who have succeeded in this highly lucrative, yet still undiscovered profession. In my mind it’s worth every bit as much as some of the most sought after degrees from the most prestigious universities in the country. You Can Be a Paid Professional in Less than 24 Weeks! If you’re like many of our students who are committed to learning Michael Masterson’s secrets – you can be a working, paid professional, copywriter in 24 weeks or less! If you continue through the Masters Program, you could be earning the big bucks – $50,000, $1000,000 and more! That’s a skill business people like me are delighted to pay big money for. I’ve paid more than $250,000 for a single letter! And as much money as that is, it was still a bargain for me. Why? That one letter generated over $10 million in sales for my company! Earn $1,000 to $40,000 – Per Letter! All copywriters are paid a fee to write a direct mail promotion. Again, these numbers represent average fees paid to top-notch copywriters who produce one direct mail letter per month and keep three controls alive throughout the year. It’s good moneyâ€¦but you can make more! All you have to do is write more letters! extra couple grand every month working part time, you can do that too! Once you’ve mastered the program it’s up to you! Now I’d like to hand you a very rare opportunity to have that “greatest job in the world” yourself. A chance to live the kind of life you’ve always wanted to live – fire your boss, work when you choose to work, from wherever you want, gain control of your financial future and step off whatever weary road you may be on. Copywriting can do that for you. It’s that powerful – a lifelong skill you will carry with you no matter where you go. As long as there are products to sell and buyers to buy them – you will be in high demand. Your phone will forever ring with work! With the skills you’ll learn from Michael Masterson’s Accelerated Program for Six-Figure Copywriting you’ll be able to earn money for the rest of your life – well into your retirement years if you choose. The secrets you’ll learn through this program really do work in the real world. Just ask Stuart Jurs, Karen Douglas, Justin Franklin, Daniel Fisher, John Harper – and others who just months ago cracked open Michael Masterson’s Accelerated Program for Six-Figure Copywriting. These are folks well on their way to a new career – a new lifestyle where they’re in chargeâ€¦where they determine how much they’ll makeâ€¦when they work and when they don’t. Don’t worry. Your first effort doesn’t have to be perfect. It just has to have that glimmer of potentialâ€¦a hint that you understand most of the simple secrets revealed in Michael Masterson’s Accelerated Program for Six-Figure Copywriting. My advice: follow the program, apply yourselfâ€¦and there’s a very good chance we’ll be working together in the near future. But I do know one thing. You’ll have nothing to risk by giving Michael Masterson’s Accelerated Program for Six-Figure Copywriting your best try. In fact, we’re sure you’ll find that the knowledge you’ll gain from this remarkable course is well worth $50,000 or more. That might sound like a ridiculous amount of money to you right now. But it’s at least what you’d pay to any school for the kind of instant $100,000+ earning potential and life-long skills you’ll have as a professional copywriter or journalist for my company. Don and Paul have told me they would have happily paid double that amount for the cash-generating knowledge they now have. If this program doesn’t deliver everything we promised – if you are not convinced that Michael Masterson’s Accelerated Program for Six-Figure Copywriting will provide you with a 6-figure, work part-time-from-home lifestyle, then notify us within 30 days. We’ll happily refund your purchase. as fair as we can make it. With the knowledge and skill you’ll gain from this one-of-a-kind program, your life can dramatically change. Imagine working for yourself, when you want to, from home, with no bosses breathing down your neck and no commute to drive you crazy. want and practically name your price. Imagine living where you’ve always wanted to live. Now you can because you’re a highly paid professional writer. Live by the beachâ€¦in the mountainsâ€¦in a high rise overlooking Central Park. Wherever you go, all you need is a computer and a phone line and you’re in business! Or imagine being able to wake up on any morning and say “screw it,” I’m going to play golf, or go fishing, hop on a plane, take a vacation – anything you like. That’s what being a top-notch copywriter is like. It’s a great life – and I’d like you to take this very rare opportunity to see if life as a professional copywriter is the life for you. write a strong sales letter can always find work with me. -James DiGeorgia, DiGeorgia & Assoc. That’s why there’s an entire section in this program dedicated to launching your freelance career. Among the things you’ll learn is the single most powerful technique for virtually assuring you get your first freelance job with any company – including mine! But a quick warning – Michael, Paul and Don can work with only so many students at any given time. Remember, this is a one-on-one, interactive program. Once there are all the “students” the team of professional copywriters can handle, you may have to wait several years for this opportunity to come around again. That’s why I urge you to order today. Check it out. Decide if it’s for you. You can always cancel for a full refund within 30 days if it’s not. So if you have any writing ability at all – and you’re looking to change your life – dive in right now. 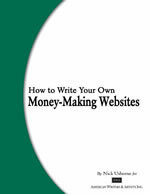 Let us teach you what we know – and start living the “wealthy writer’s life” now. 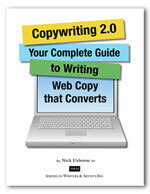 Order Michael Masterson’s Accelerated Program for Six-Figure Copywriting RISK FREE today! P.S. I’m very serious about the demand for good copywriters. And I’m positive that the Michael Masterson’s Accelerated Program for Six-Figure Copywriting is the fastest and easiest way for you to become a copywriter. P.P.S. I’m told not all graduates of Michael Masterson’s Accelerated Program for Six-Figure Copywriting want to write for other people. Some have products or ideas of their own they want to sell – and Appendix A gives you all the information you need to successfully launch a winning direct mail campaign. Remember that Americans spend over $300 billion a year through direct mail. Isn’t it time you grabbed your share? Learn how to succeed in this very lucrative business RISK FREE right now!